Remove any style windshield including acutely angled ones. Windshield wire may be cut to desired. 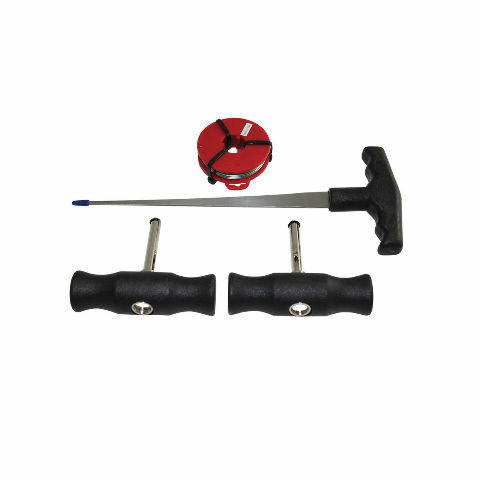 2 piece stainless steel with sturdy T-Handle grips and sliding wire attachment. 72 ft. Braided steel windshield wire, straight hook tool.